I was wrong. There, I said it. Pardon me if I lacked the prescience to forsee an out-of-balance congress, a socialist-leaning, islamist-loving chief executive, and a progressive minded court that would permit an unconstitutional hijacking of our culture, our economy, and our way of life in these United States. I could not imagine our country might willfully chart the course for economic self-destruction. Most certainly we are on that azimuth, and we are accelerating to its natural end at breakneck pace. I regret ever suggesting the federal government should possess unchecked power of taxation. Despite all the rhetoric, things are a mess in Washington and there’s virtually no hope left for an economic rebound in the next few years. Sure, the pundits keep pointing to isolated indicators in hopes of finding some prospect for postive spin. But most of us have realized these are but fading glimmers of the coals that once stoked a magnificent economic engine. Word is fast circulating the “Bush tax cuts” will be allowed to expire in January, which in turn will result in the largest tax increase in the history of our beloved country. That (in-)action will suffocate any remaining life in the entrepreneurial spirit of small business. Yesterday, the federal reserve board announced productivity has again fallen, meaning the doldrums are back. Only a pick up in employment will change that statistic, and companies are disincentivized by the federal government to hire at the moment. 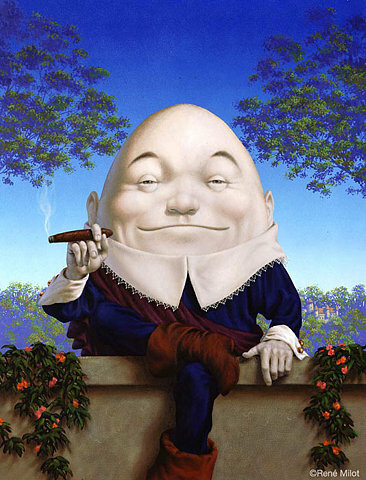 All the artificial tricks in the book won’t put that ‘humpty’ back together again. Late last week we learned unemployment had worsened with the net loss of another 131,000 jobs nationally (and this is before the dismissal of several hundred thousand additional census workers, coming in the near future). We need to be adding 200,000 jobs each month to begin reducing the unemployment rolls…and that hasn’t happened since George Bush left office. Yesterday, the congress returned early from its recess, and like rowdy school children, created still another mess; this time, a $26 billion payoff to government employee and teacher unions. Too bad they didn’t stay on vacation. That would have saved taxpayers billions. Now there’s an idea: pay our congressmen not to work. We’d all be better off! The president and this brigand congress are destroying any hope of economic rebound. Let’s face it, we know the economy is again heading ‘south’ and we ought to prepare for the inevitable crash landing that’s coming. In truth, a mere double-dip recession is starting to sound good to me. What I fear more is another period of recession followed by an even longer period of hyper-inflation resulting from the incredible tax-and-spend mentality of our elected officials in Raleigh and Washignton. There’s more than a trillion dollars of Treasury Department and Federal Reserve Board stimulus in the economy right now, and it can’t be withdrawn for fear of collapsing the world economy. By design, that is seriously inflationary. And with interest rates where they are– virtually nil –the fed has no choice but to begin raising rates when inflationary tremors are felt in coming months. Rising interest rates will put the final nail in our economic coffin: for a few years, anyway. America, wake up! This congress must be shown the door in November. Moreover, this president must be contained, and quickly. Our survival depends on it. First Secretary of the Treasury, Founding Father, and a leading federalist. 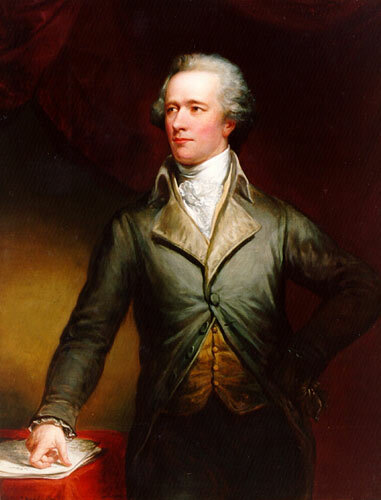 I wrote most of the federalist papers, collaborating with John Jay and James Madison. Some in the Republican Party consider me the best ever Secretary of the Treasury. I was an original proponent for a strong central bank to help protect the financial security of our nation. 1 Response to Whither the Economy? I believe your analysis is spot on, my federalist friend. The Department of Commerce announced today the trade deficit for June was nearly $50 billion. That figure was about 15% higher than most analysts had expected. It means foreign markets (particularly China) are benefiting from our weak domestic production and our inability to get small businesses going again. Imagine just how many millions of new jobs would be possible in the U.S. if our federal government put a halt to all the programs and new laws that ship jobs overseas. Examples– the drilling moratorium, onerous financial regulatory laws, collective bargaining mandates for U.S. factories, etc. Truly the liberal left in this country is driving us down that road to calamity you described, and our president is at the wheel.